The wait for the soon to be released iPhone 5 is nearly over, but case companies like Grove are at a head start. Grove has announced today of its new Grove Case for the iPhone 5 which is now available to pre-order for $59 with a full refund option in case you don't like the final case design. 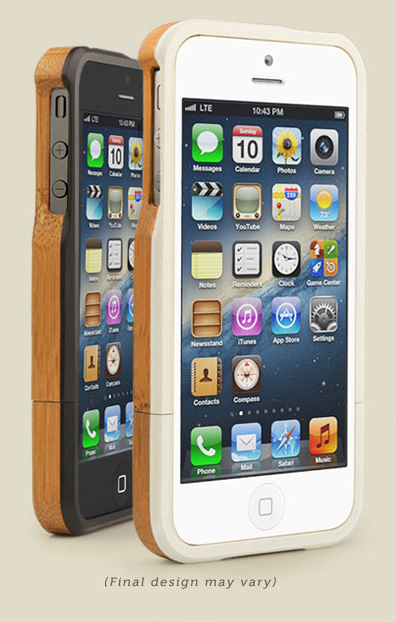 The Grove Case for the iPhone 5 is made from natural and sustainable materials featuring a two-piece sliding construction with a milled solid bamboo exterior and a plant fiber composite inner layer. The downside is that you'll have to wait until early October for the final case to start shipping.